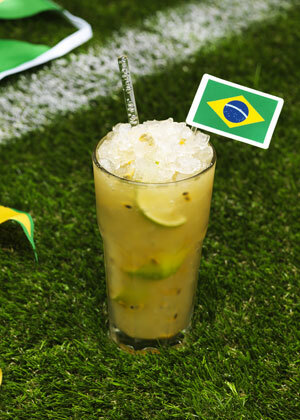 Whether you’re glued to the football or maybe just the players, it’s only right we enjoy the World Cup action with a real Brazilian treat! Caipiroska is a popular cocktail in Brazil made from vodka, lime and sugar, and something tells us you’ll love this passion fruit version you can shake up at home! 1. In the bottom of a rocks glass, muddle the lime, sugar and passionfruit together. 2. Pour in your Smirnoff and add crushed ice. 3. Give everything a good stir and then top with abit more ice. 4. Use the other half of passionfruit as your garnish. Enjoy drinks sensibly. Visit uk.thebar.com.